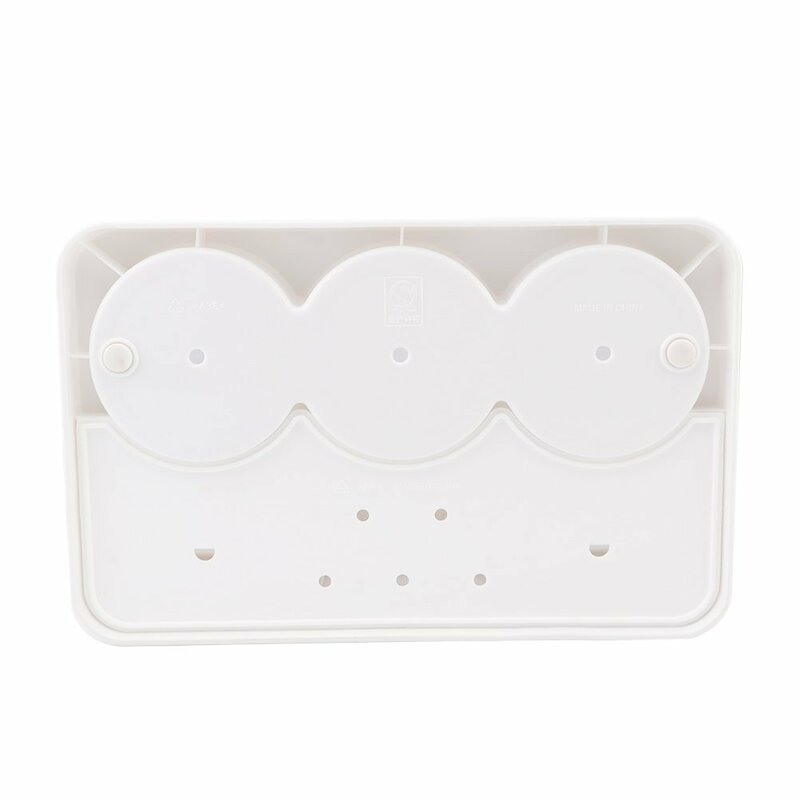 (L x W x H):(9.8 x 6.2 x 4.3 inch). 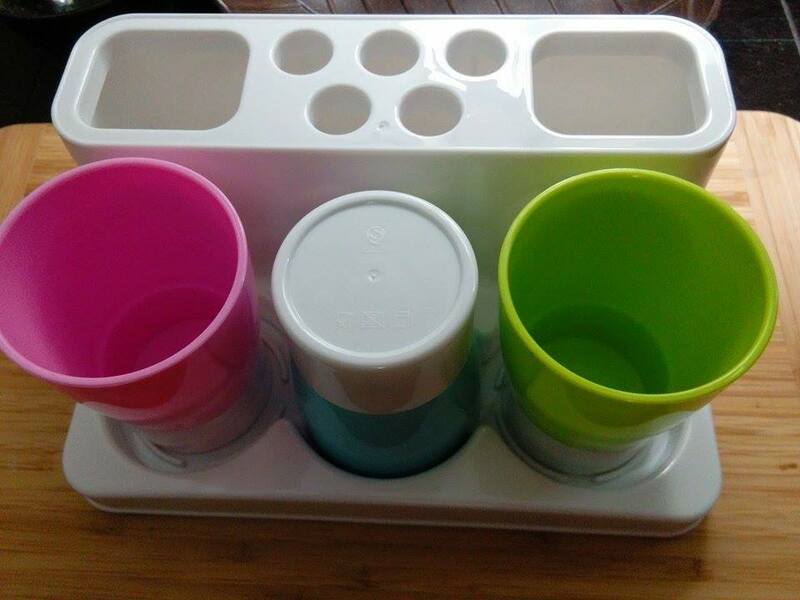 Cup Size: Up Dia2.95 x H3.93inch. 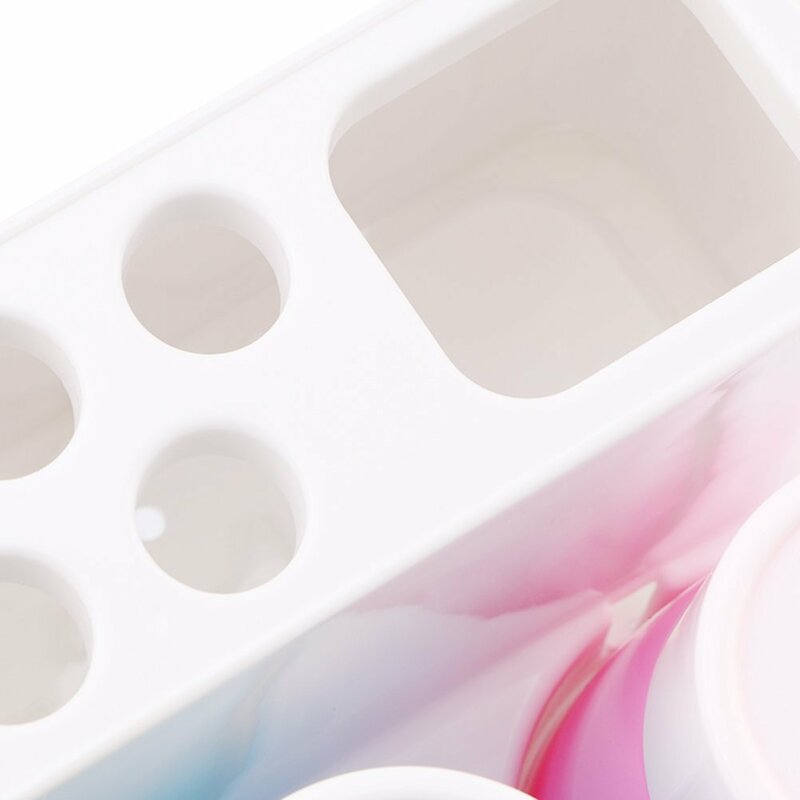 Keep your toothbrush and tooth paste tidy and organized. 5 holes to keep the toothbrushes well separated. 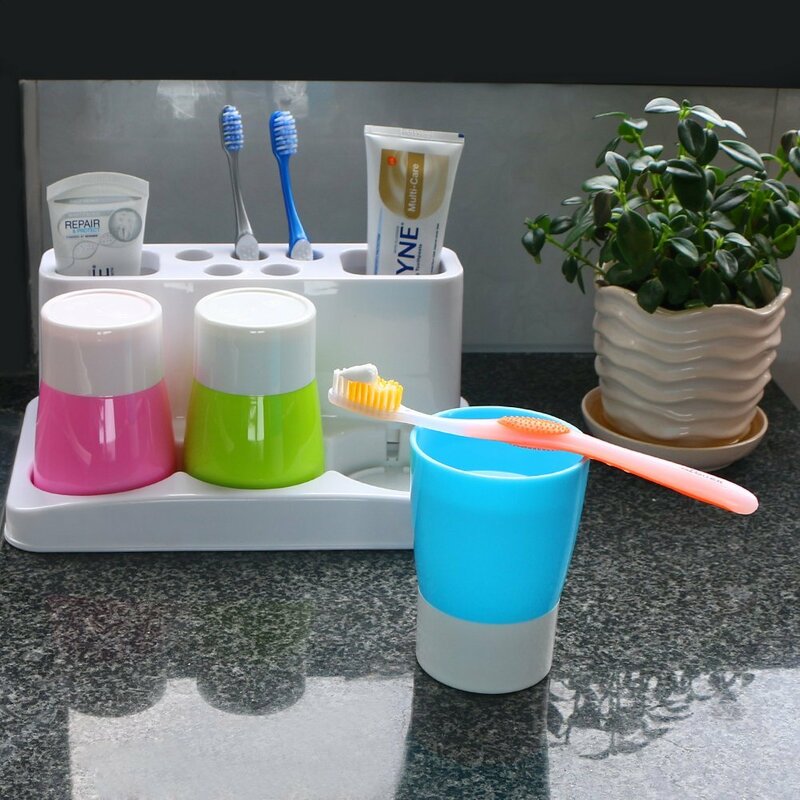 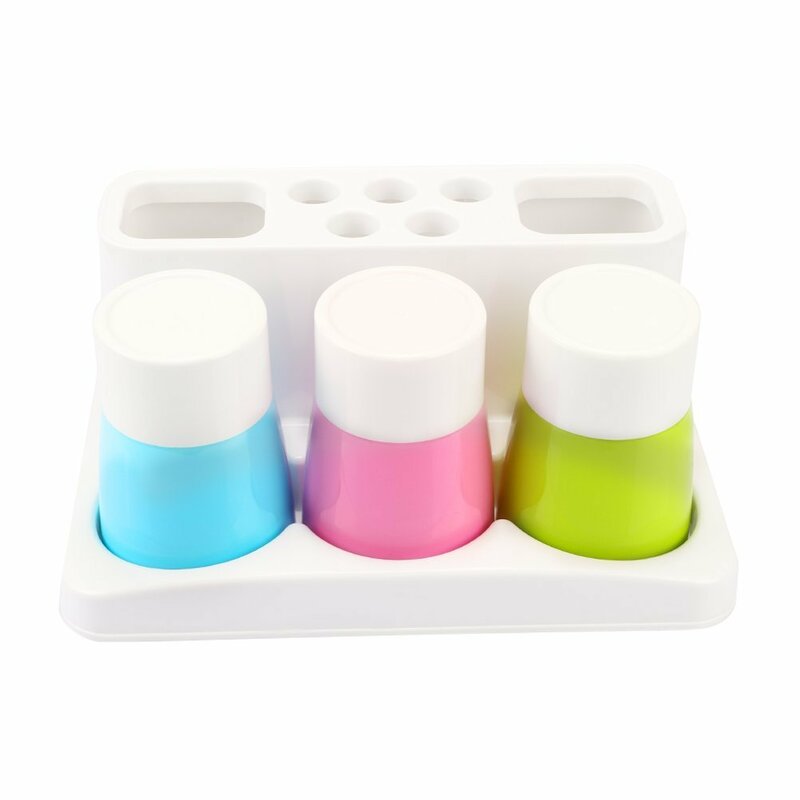 Comparing with single toothbrush holder, this set not only includes the Toothpaste and Toothbrush Holder, but also has 3 rinse cups. Great to Keep everything handy. 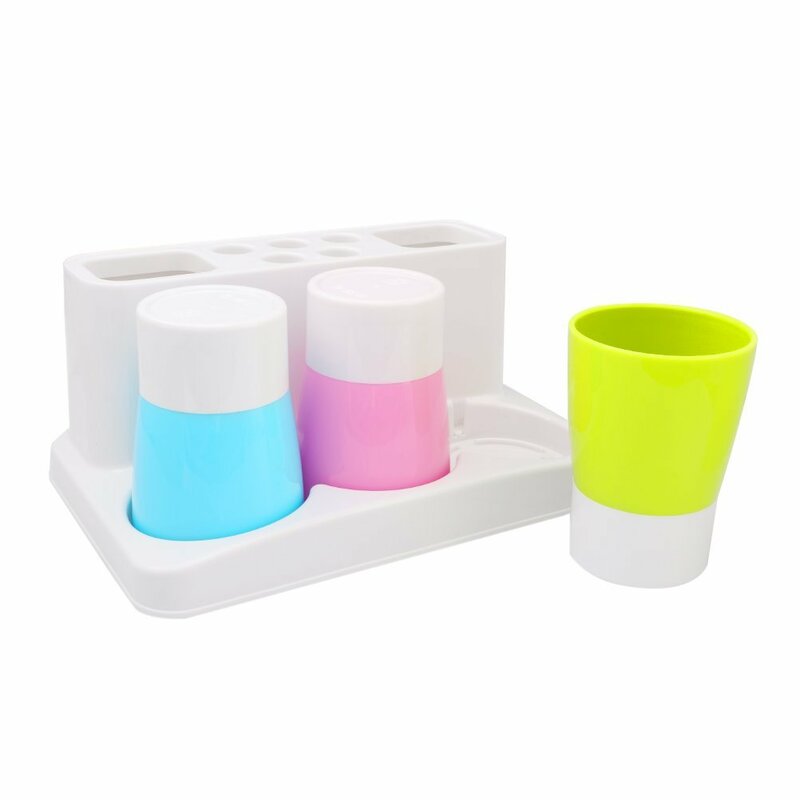 Note: Toothpastes and Toothbrushes NOT included. 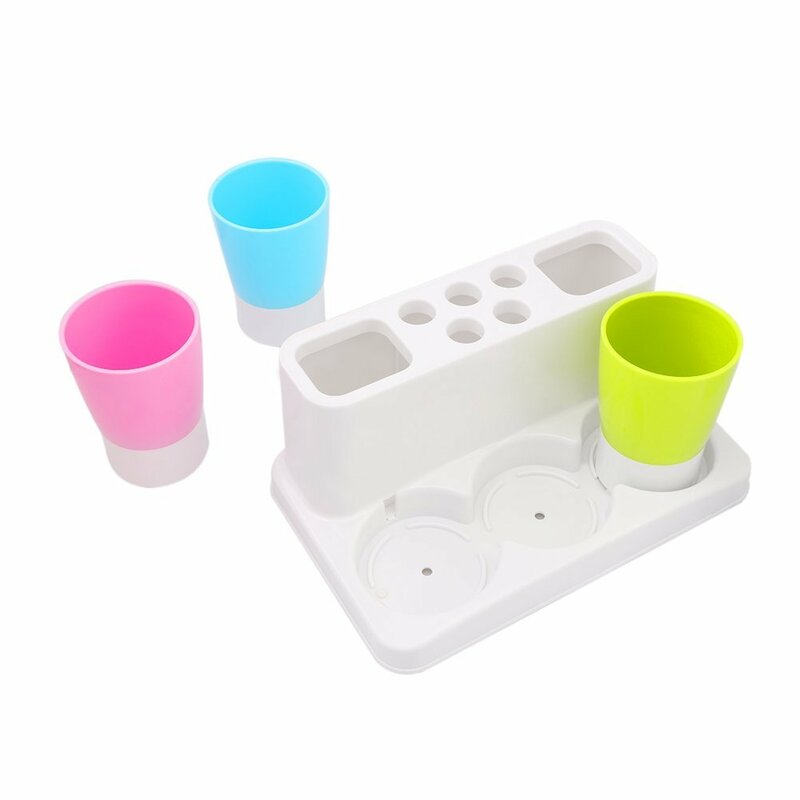 Durable plastic; space-saving design perfect for the couples and family. 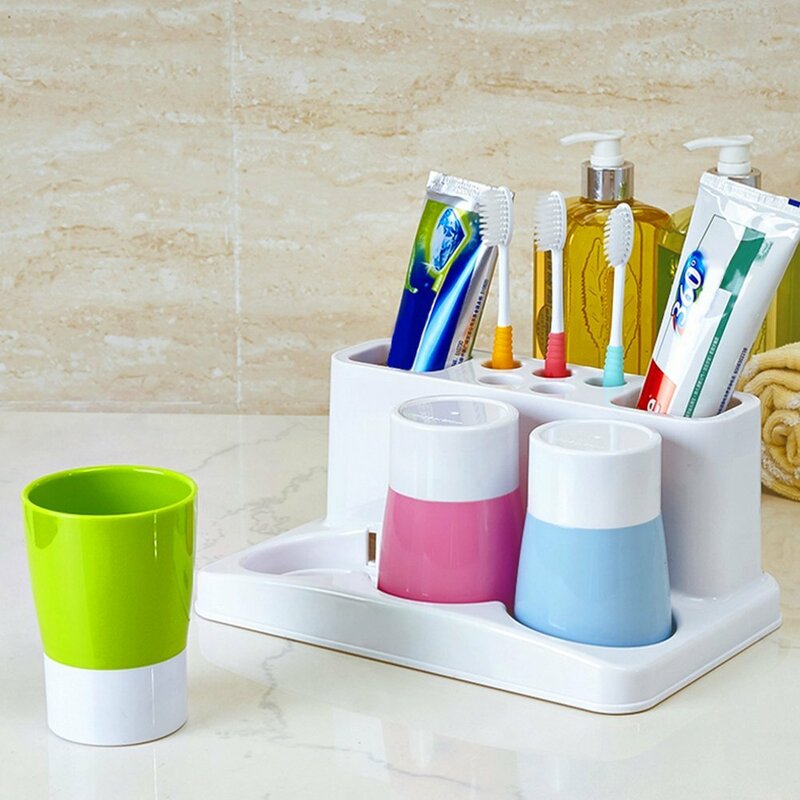 This stand keep your toothbrush and tooth paste tidy and organized. 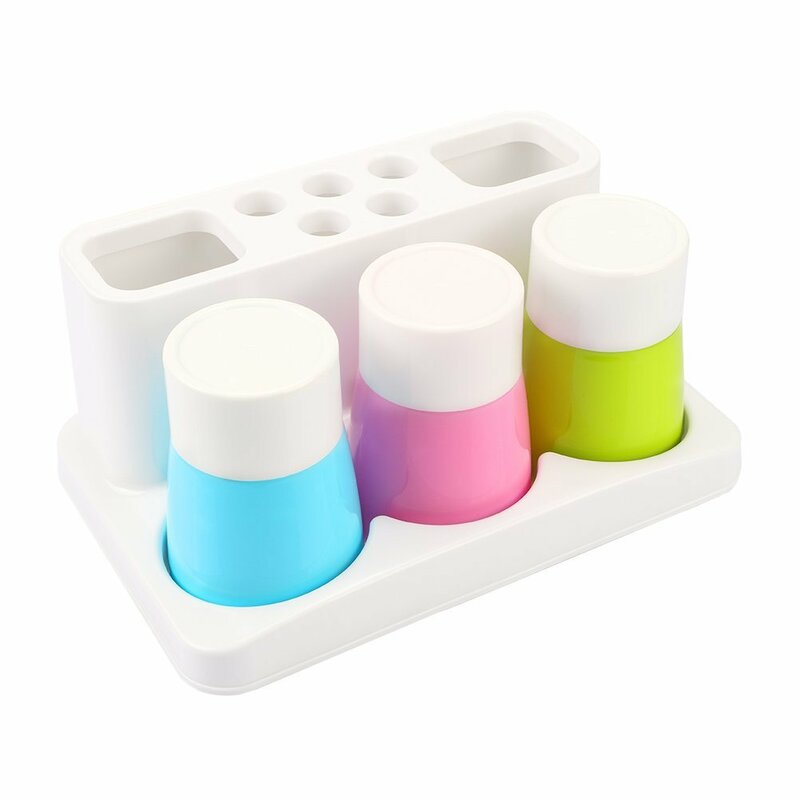 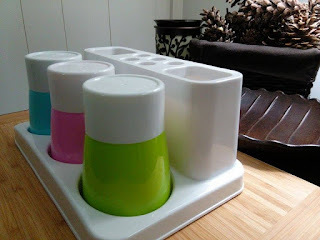 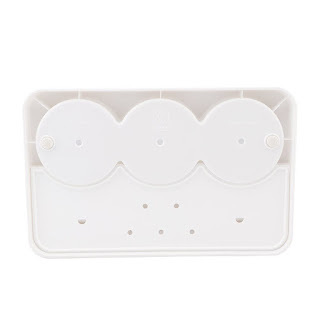 Having a family of 5 in a busy bathroom, I was happy to get this Toothbrush-Toothpaste-Rinse Cups Organizer from Accmart. 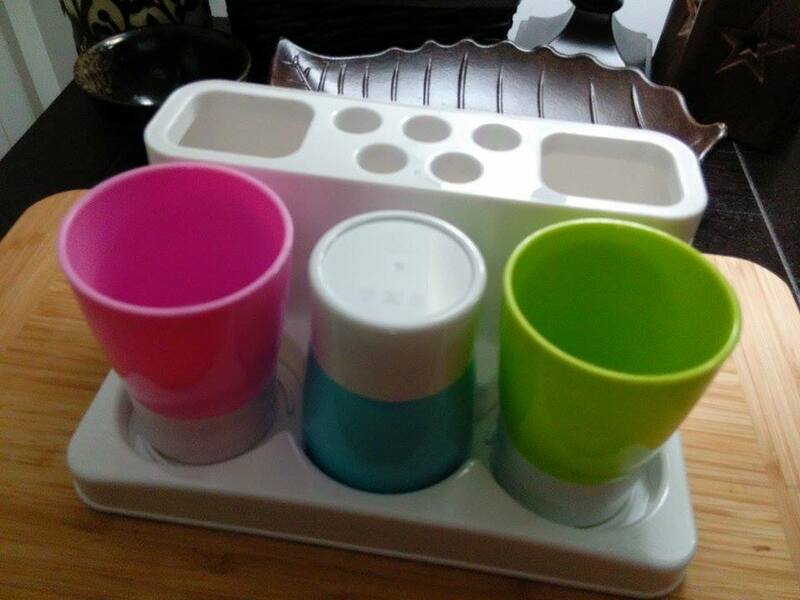 I like that there are 5 compartments for toothbrushes and 2 compartments for the toothpaste, although the thick handled toothbrushes do not fit. I like that the cups are color coded so each child know who's cup is who's. It is nice to have all the kids tooth brushing items organized and all in one place. 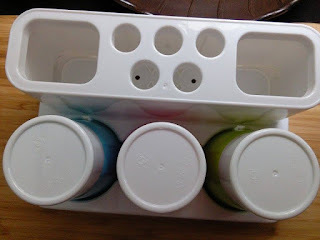 I like that the holes in the bottom of the compartments help when cleaning the organizer. 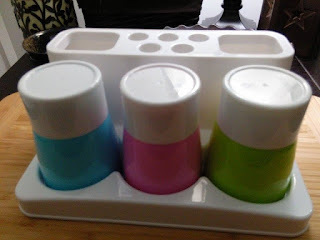 I think this is a nice bathroom organizer for those that have a bathroom counter.